Why doesn't the Government buy used cars? A logical question and yet it’s never asked? Government departments buy vehicles based on their individual “fit for purpose” criteria. This means each agency has an individual list of measures their fleet need to meet in order to carry out their daily responsibilities. Take the Department of Conservation (DOC) as an example, they likely need vehicles with off road 4WD capability for their workers going bush. A 2WD hatch wouldn’t meet the requirements for their worker’s daily purpose. If the Government was to buy second hand cars, the ability to meet their fit for purpose requirements would be damn near impossible in the used car market not to mention the safety, sustainability and technology you get with new vehicles. 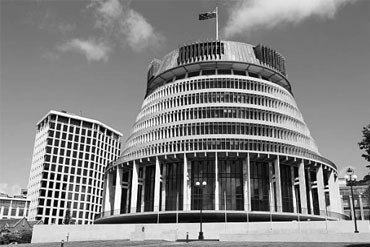 The Government buying process is done via MBIE’s pre-negotiated contracts with the NZ vehicle distributors. Departments then are able to buy through the AOG (All of Goverment) contracts giving them access to some to the best pricing available in the market. Using a good TCO (Total Cost of Ownership) model the Goverment fleet manager will know when is the optimal time to sell the vehicles and maximise the resale value. These tools along with a good discount allows the fleet manager to roll over to a new vehicle with minimal lose and in some cases a small gain!